King Harald is now completed except for washing and blocking. 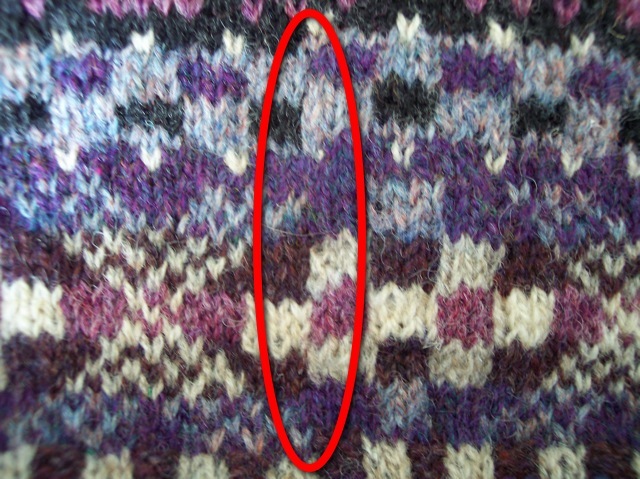 I wove in the last end yesterday evening, thank goodness, while watching the tube. 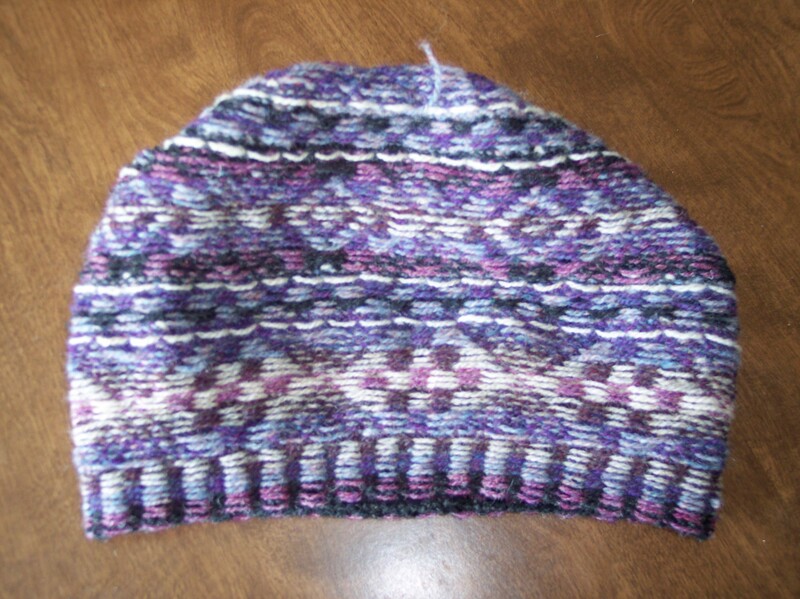 I cannot say I’m sad that King Harald is done—weaving in all those ends wasn’t exactly fun—but I enjoyed this project immensely and see more Fair Isle hats in my knitting future, perhaps even another King Harald in an alternate colorway. 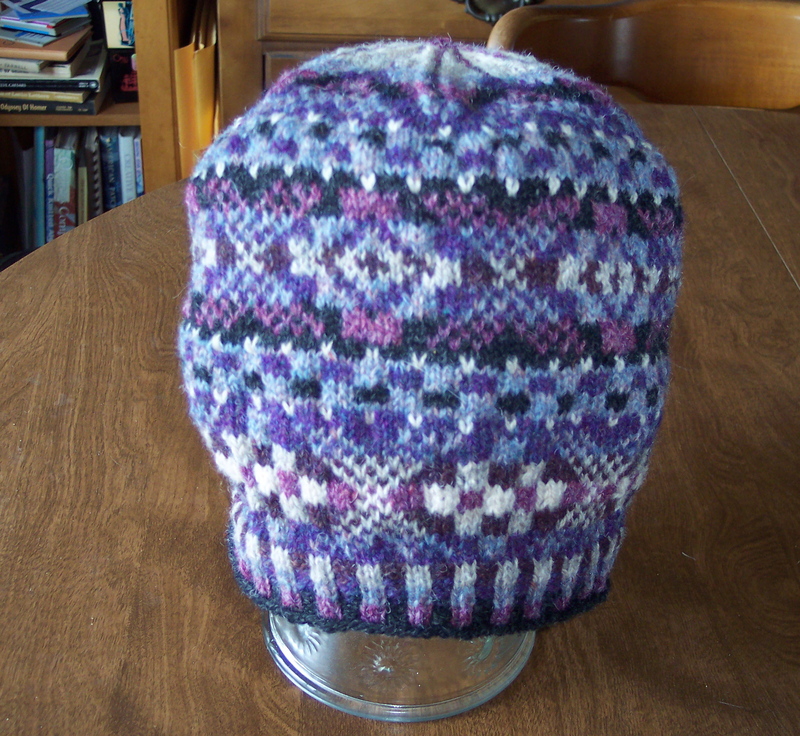 Here’s what King Harald looks like inside out on the side with all the woven-in ends. 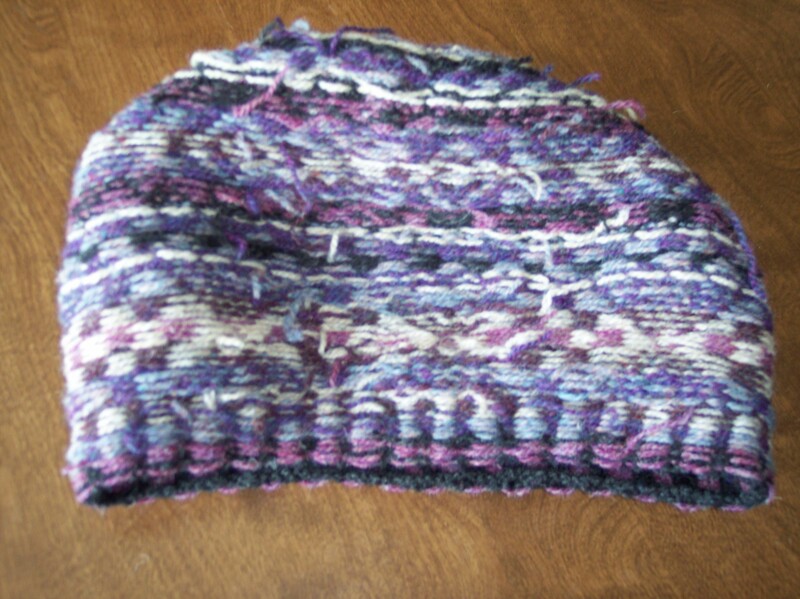 And here’s the side without the woven-in ends. 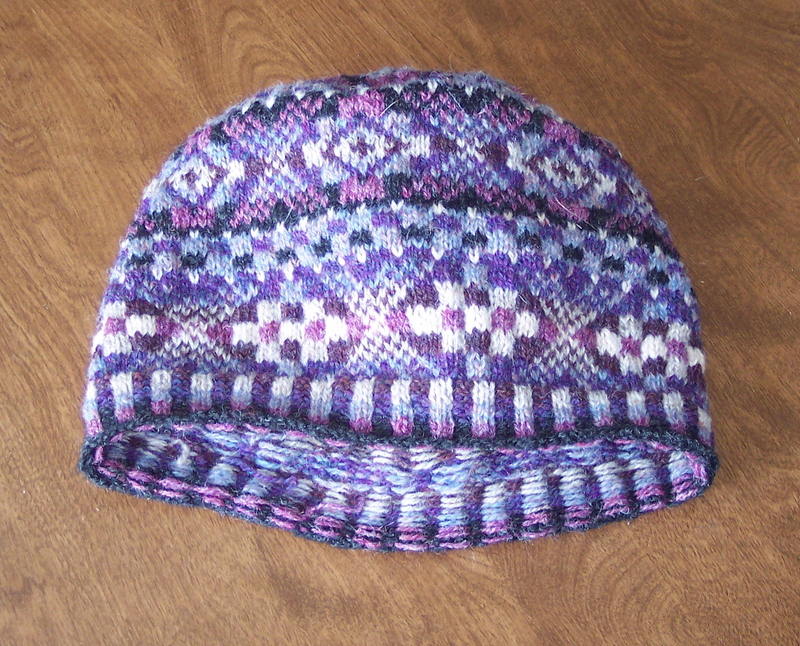 This side definitely looks neater than the side with the weaving, but I doubt the recipient of this hat will wear it inside-out, although one never knows, do one? to quote Archie McNally. It’s very important to minimize the jog because this is the public side of the hat, the side that all the world will see. Finally, last but not least, here is King Harald being modeled by a vase. The next step is to wash and block King Harald. You know what that means. Yep. There will be at least one more blog entry devoted to the King! I bet you just can’t wait.